The Mayor’s International Business Programme is proud to present our first Mayoral B2B and Edtech mission to Mumbai and Bangalore. This visit brings 18 of London’s high-growth companies to identify partnerships and explore business opportunities, taking in the vibrant cities of Mumbai and Bangalore. Technology is a growing sector for India and London businesses are highly sought after coming from one of the world’s leading tech centres. Meet a selection of our companies attending in December to show that #LondonIsOpen for business. 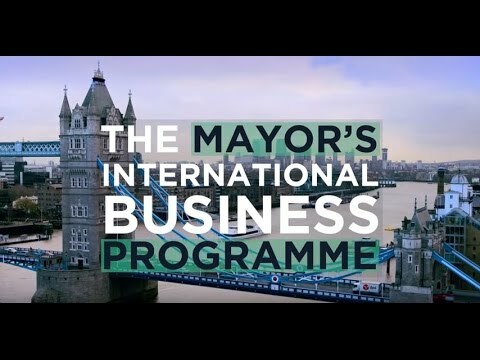 The Mayor of London’s International Business Programme is proud to present our first Mayoral B2B and Edtech mission to Mumbai and Bangalore. This visit brings 18 of London’s high-growth companies to identify partnerships and explore business opportunities, taking in the vibrant cities of Mumbai and Bangalore. Technology is a growing sector for India and London businesses are highly sought after coming from one of the world’s leading tech centres. London and India have great business links. Nearly 40 per cent of the fastest-growing Indian companies investing in the UK are based in London and Indian companies employ nearly 50,000 people here.